You appreciate wine. You invest in wine. You enjoy wine. So do we. 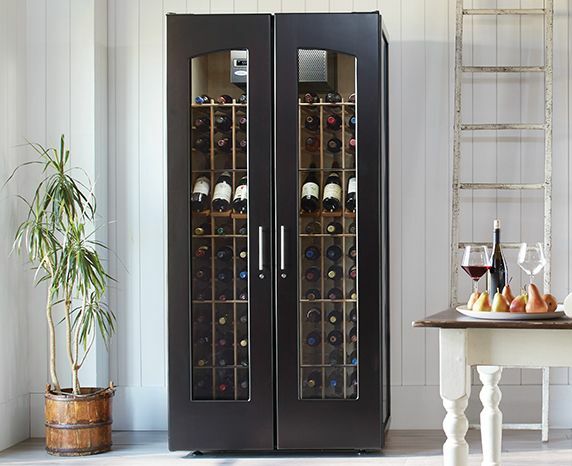 Le Cache has been building premium wine cabinets for over 25 years. Since 1989, thousands of homes, as well as hotels and restaurants, around the world have relied on our cabinets to maintain optimal storage conditions for their collections. In 2004, the company was acquired by Ben Argov, Keith Sedwick, and Bruce Kirsten. Today Le Cache operates with sister companies IWA, CellarPro, and WineKeeper to serve the needs of wine lovers worldwide. We share your enthusiasm for collecting wine—and we know how difficult it is to find the right kind of storage for valuable wine collections. Since we acquired Le Cache, we've structured the business according to our own high standards of what we wanted in a wine storage cabinet. An ideal environment for the long-term storage and aging of wines. Quality design, both in how a cabinet looks and how it performs. A distinctive piece of furniture that we'd be proud to have in our homes, impeccably crafted to last for generations. Straightforward pricing, including features such as double-pane windows and universal all-wood racking without additional charge. Expert customer service from our teams in Petaluma, California and Dallas, Texas. The best warranty in the business, with 5-year coverage on the cooling unit and 2-year coverage on the cabinet. A satisfaction guarantee: if you're not completely happy with your Le Cache cabinet, you can return it for a refund within 30 days. Please don't hesitate to contact us online or call us toll-free at 1.877.532.2243. Thank you for your interest in Le Cache.